The series Advances in Psychotherapy -- Evidence-Based Practice provides therapists with practical evidence-based guidance on the diagnosis and treatment of the most common disorders seen in clinical practice -- and does so in a uniquely reader-friendly manner. 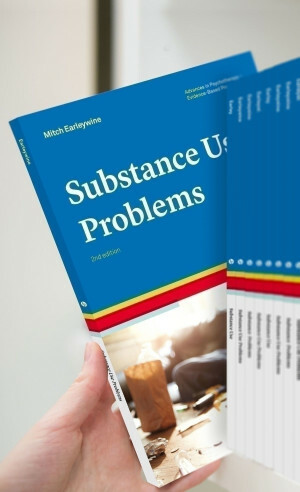 Each book is both a compact how-to reference for use by professional clinicians in their daily work, as well as an ideal educational resource for students and for practice-oriented continuing education.In planning is a new strand dealing with methods and approaches rather than specific disorders. The most important feature of the books is that they are practical and reader-friendly. All have a similar structure, and each is a compact and easy-to-follow guide covering all aspects of practice that are relevant in real life. Tables, boxed clinical pearls, and marginal notes assist orientation, while checklists for copying and summary boxes provide tools for use in daily practice. The main emphasis is on information that therapists and practitioners can use in	their daily practice. The most important information is summarized in tables, illustrations, or displayed	boxes, and marginal notes. David A. Wolfe is Adjunct Professor at the Centre for School Mental Health, and Research Scholar at the Centre for Research and Education on Violence Against Women and Children, Faculty of Education, Western University in London, Canada. He is also Director Emeritus of the Centre for Addiction and Mental Health (CAMH) Centre for Prevention Science and was Professor of Psychiatry and Psychology at the University of Toronto (2002–2016). He held the inaugural RBC Chair in Children’s Mental Health from 2002 to 2012 and served as Editor-in-Chief of Child Abuse & Neglect from 2007 to 2012. Dr. Wolfe has been active in developing and evaluating violence and abuse prevention initiatives for children and youths. He has broad research and clinical interests in abnormal child and adolescent psychology, with a special focus on child abuse, domestic violence, and developmental psychopathology. His current major research activity relates to the Fourth R, a school-based program to promote healthy, nonviolent relationships among youths (http://www.youthrelationships.org/). Members of the Society of Clinical Psychology (APA Division 12) and Psychologists in Independent Practice (APA Division 42) may purchase individual volumes in the series at US $24.80 - a saving of US $5 !When ordering, please enter your APA membership number in the comments box during checkout. Members can save further by placing a Standing Order for the series - only US $19.80 per volume!